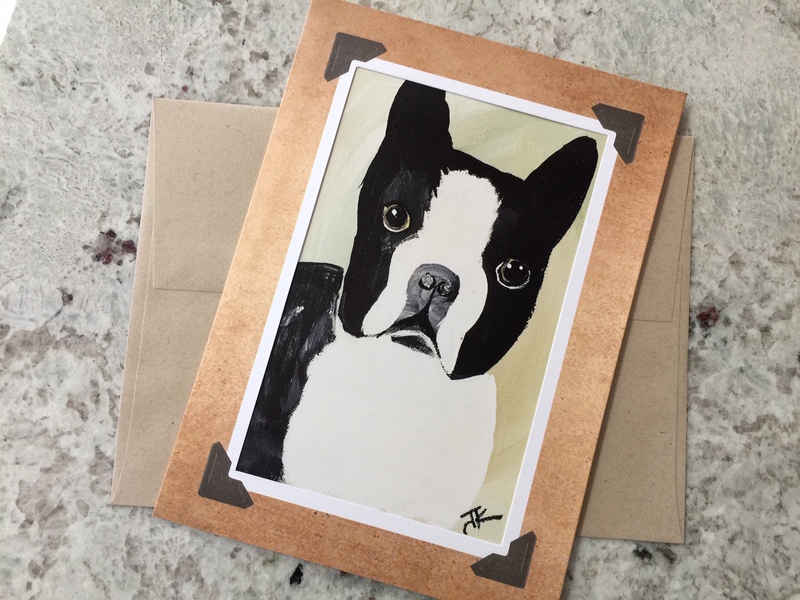 Artist and Dooberteer JJ Kelley from Virginia's art is available in Beautiful and Framable Note Cards! New breeds added added as she paints them! View entire caltalog of her painted art HERE. These Eco-Friendly cards fit in a 5x7 frame and make plain days extraordinary. 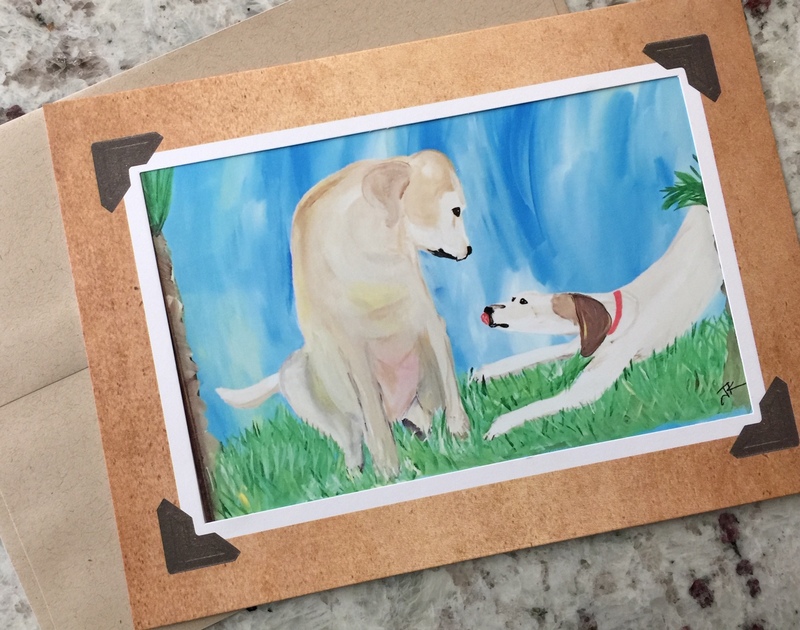 Everyone sends digital images nowadays... Dare to brighten someone's day by having them find some pet art in their mailbox! Face it - most printed mail is of the solicitational variety. This can't be beat! Remember S.W.A.K.? Remember what putting a stamp upside down on a letter meant? I dare ya... Only those of us "of a certain age" can relate to: "I double dog dare ya' " LOL. Please contact us for Qty Pricing or Gift Sets. **Please also consider purchase and donating to your favorite organizations as Fundraisers!